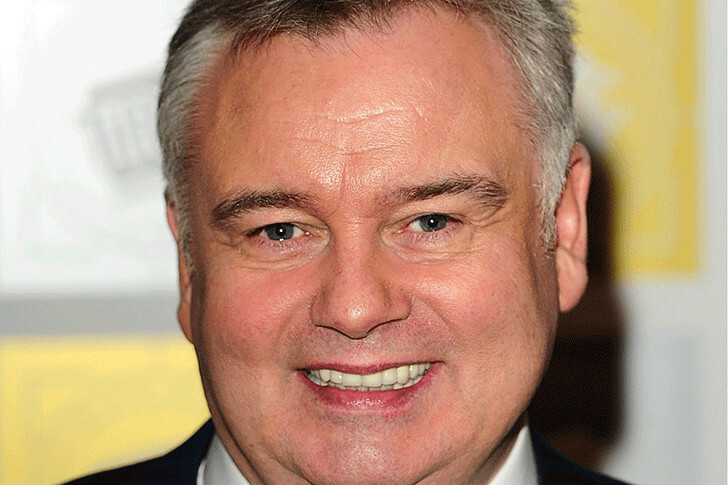 Eamonn Holmes is one of the talented and powerful names in the sector of broadcasting sector. Representing himself as the journalist, broadcaster, anchor, reporter and TV personality by profession, he was born in the year 1959, December 3 in Belfast, Northern Ireland. Being active in the business from the year 1988, he is best reckons from the show GMTV, Sunrise, This Morning, Songs of Praise and many other notable credits. Holmes, who has vast experience in working in a number of organizations in the past, he is famous for his remarkable endeavors in Sky News and ITV. Eamonn Holmes, coming from the ordinary family was raised in Ireland and attended Holy Family Primary School in Belfast. Holmes, later attended St. Malachy’s College which is a Roman Catholic Grammar School for boys and got the degree in journalism from Dublin College of Business Studies. Right after the graduation, he started to work in the Dublin-based local magazine prior trying his luck in the broadcasting sector. Eamonn Holmes debut his broadcasting and on-screen career from Ulster Television in 1979. During the time in the network, he handled and perform the task of reporting to Farming Ulster Programme followed by Good Evening Ulster, and Miss Norther Ireland. In 1986, he made a very bold move by joining BBC and became active representing BBC One. During his service in broadcasting service, he has successfully accredited various for various networks including Open Air, GMTV, The Sunday Night Project, The Rich List, Songs of Praise, Gift Wrapped, and much more. Besides television, he has also led his hands in Radio and presented The Eammon Holmes Show on Radio 5 Live. He has won several awards including 5 times TRIC Awards and Legends of Industry Award. Holmes who is the master of both the lives has been successful to manage both the lives in an equal manner. Serving the best, he is one of the handsome and classy men of the industry. Always coming in suits with the height of 5 feet 11 inch followed by the average body, he is favorite of many in the network while he has a huge number of followers in his social platforms. Besides, his outstanding personality and body facts, he is one of the active philanthropist and activists in the town. He serves as the ambassador of the Children’s Charity, Variety GB in 2015 while he and his wife are the patrons of Dogs Trust. In records, in 2014, he actively supported Dementia Friends Campaign which is one of the active initiatives of Alzheimer’s Society. Eamonn Holmes, who is the man of his word in no doubt has very active and romantic life. Having no record of his past relationship, he was a divorced man in the past. However, he managed to bring back the success that he has in his professional life in personal life. Holmes after dating and making girlfriend to Ruth Langsford finally married in the year 2010. The couple shares one son named Jack Alexander with each other while he has other three children named Declan, Rebecca, and Niall from his previous and first marriage.